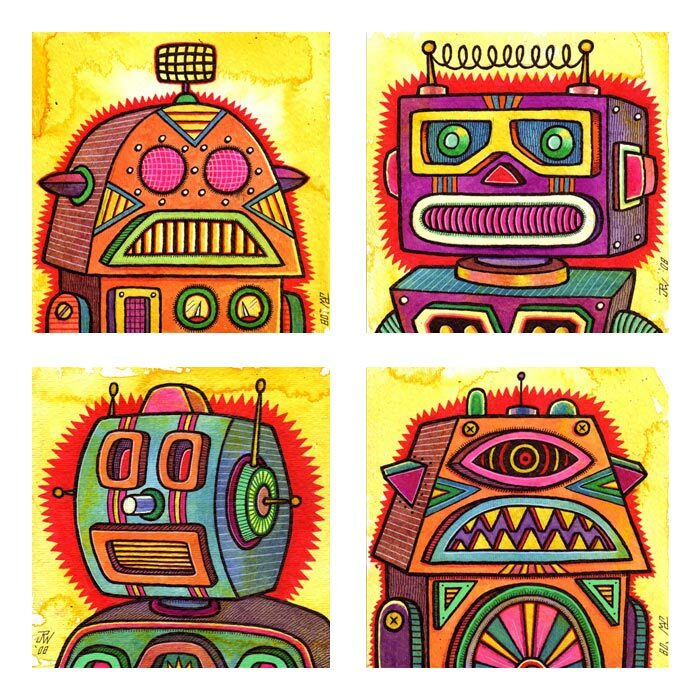 Four separate prints inspired by retro/vintage toy robots. Inkjet prints on glossy Kodak photo paper. Each print measures approx. 5 ½" x 5 ½" (image area approx. 5" with ¼" white borders.) Suitable for framing or gifting! Price includes shipping. I accept PayPal.